Last month EaterBoston shared some beautiful photos of Southern Proper, a new restaurant scheduled to open to the public today, in The Girard Apartment building here in the South End. Southern Proper’s entrance is at 600 Harrison Avenue and will have outdoor seating later this spring. The 1,500 square foot restaurant is Chef Jason Cheek’s latest venture. When he was asked about the menu by Eater Boston he said, “It’ll be heavily oriented toward chicken and beer”, but he also indicated patrons will be able to order smoked sausages, lamb, and pulled pork as well. Most of the menu is under $20, continuing a trend in dining here in the South End of more affordably priced restaurants opening (let’s hope this trend continues). 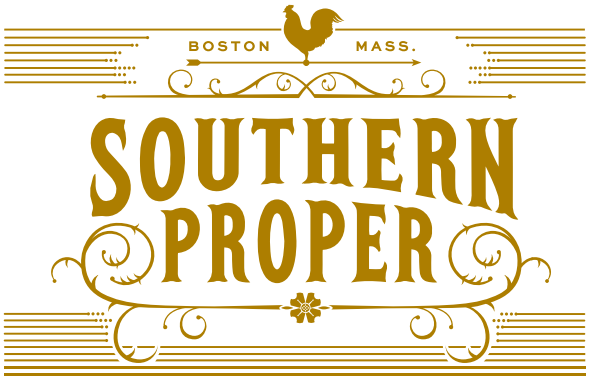 You can check out the full menu on their website, southernproperboston.com. Jason Cheek’s name might sound familiar to some of you, because he has a distinguished career working at several excellent Boston restaurants including The Maiden, Sam’s at Louis, Coppa and Toro. Best of luck to Southern Proper.